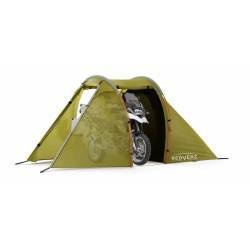 With one-person capacity, The Solo Expedition Motorcycle Tent is designed specifically for the lone rider. The slimmed down version of the industry’s original motorcycle tent affords a solo camper the luxury of a garage to park the bike, a workshop to make repairs or a lounge to wait out a storm. 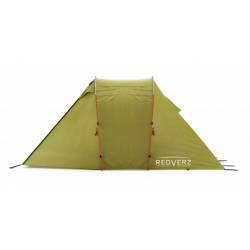 Solo travel is simple, uncomplicated and intensely rewarding - so is The Solo Expedition Tent. Two-pole construction makes for fast and easy set up and one less pole lightens the load. Double-wall construction and a bathtub floor in the Solo sleeping bay affords maximum comfort and protection in a smaller footprint, 230cm by 105cm to be exact. 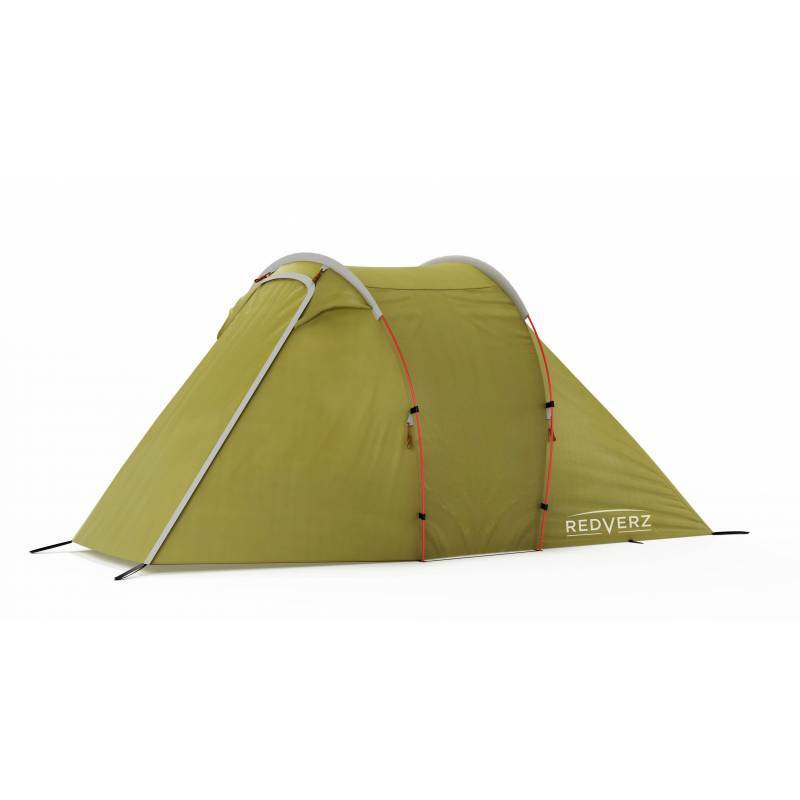 At just 370cm in length overall, the Solo Expedition Tent fits more easily into smaller predetermined camp spaces and with a lighter pack weight than previous designs, The Solo is ideal when every ounce counts. The flexible hoop design is rated for 3-seasons and offers unbeatable performance in wind and rain. 4000mm hydrostatic head on the outer fly and 10,000mm waterproofing on the sleeping bay floor keep riders dry and secure. Multi-functional doors combine a privacy panel and mesh to allow for complete closure or bug protection and ventilation. GARAGE The Redverz garage design remains unchanged at 206cm by 90cm. 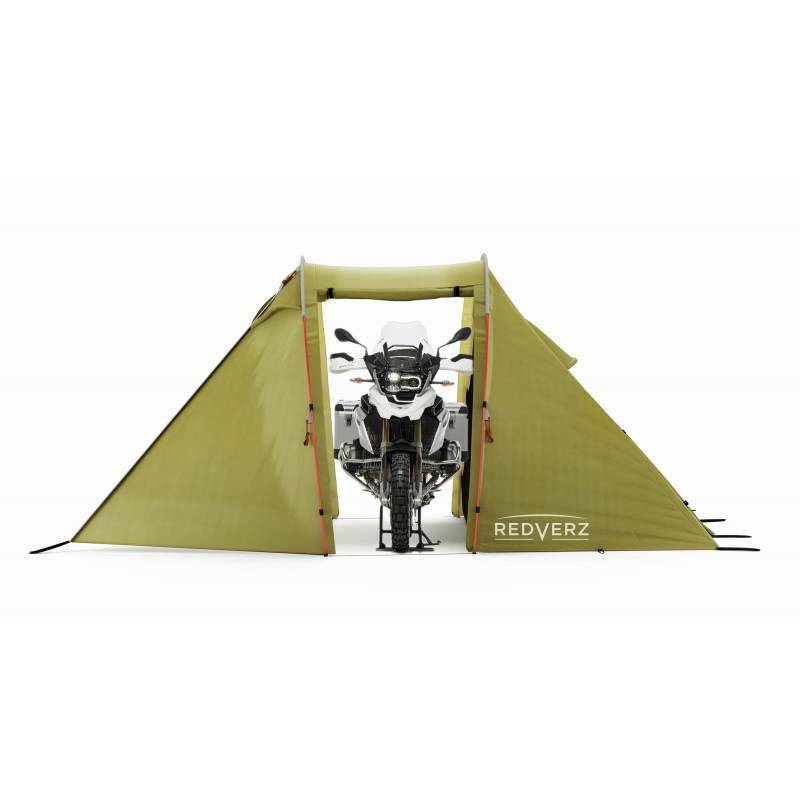 With nearly vertical walls, the spacious garage offers area-wide headroom tall enough to stand in or park a fully loaded bike with panniers. Weather taking a turn? No problem. Set up chairs, make a meal and comfortably wait out that storm. 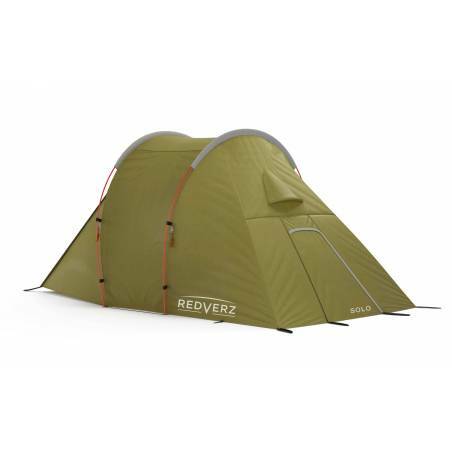 The versatile design affords truly livable space and puts Redverz designs far ahead of the competition. Your bike will fit. Your lounge will be spacious. 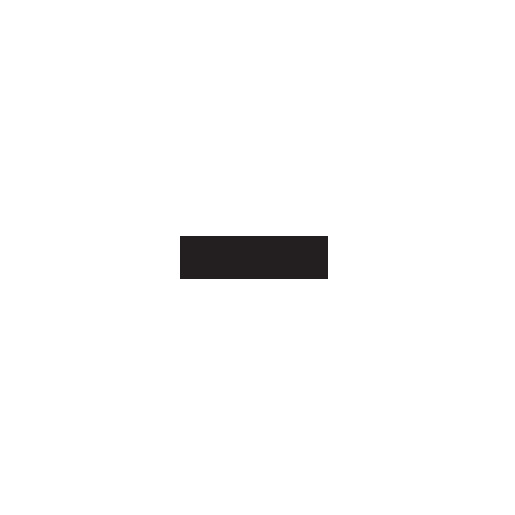 Your workshop will be ample. 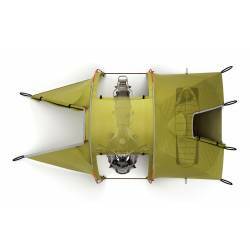 DESIGN Expedition grade components and craftsmanship perform and last. 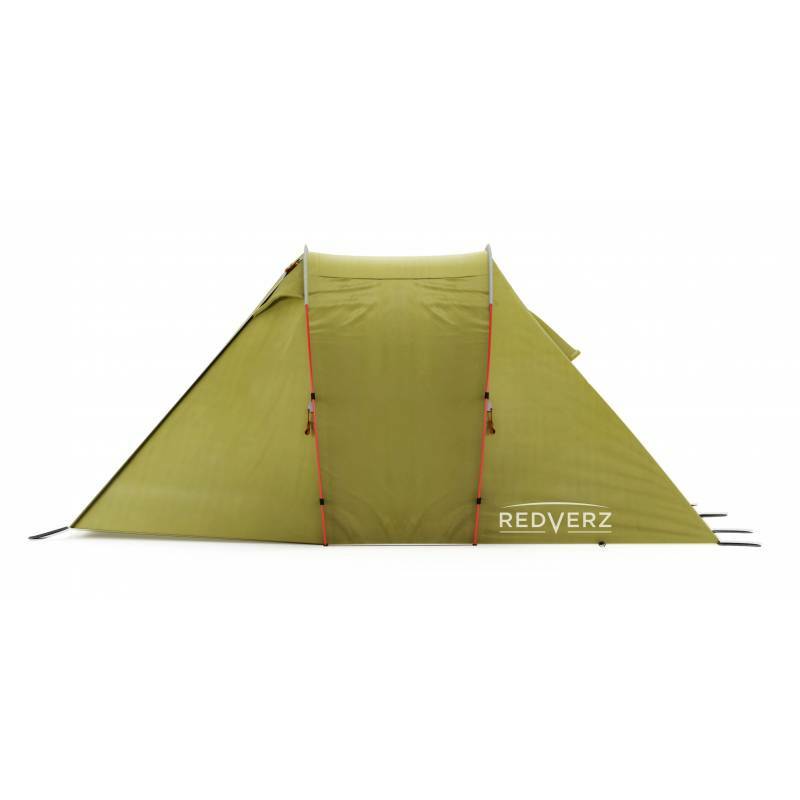 The flexible hoop design handles high winds and the waterproof 4,000mm hydrostatic head outer flysheet keeps you bone dry. The bathtub floor and optional ground sheets are an impressive10,000mm hydrostatic head, which means from the top to the bottom you will be dry and comfortable. Set up is quick and easy. 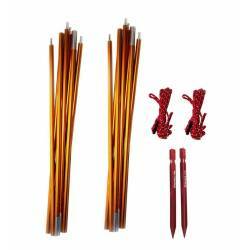 Our color-coded, aircraft grade aluminum poles arrive with a pre-bend in them, contoured specifically to reduce stress. Set up videos show you just how easy it is. 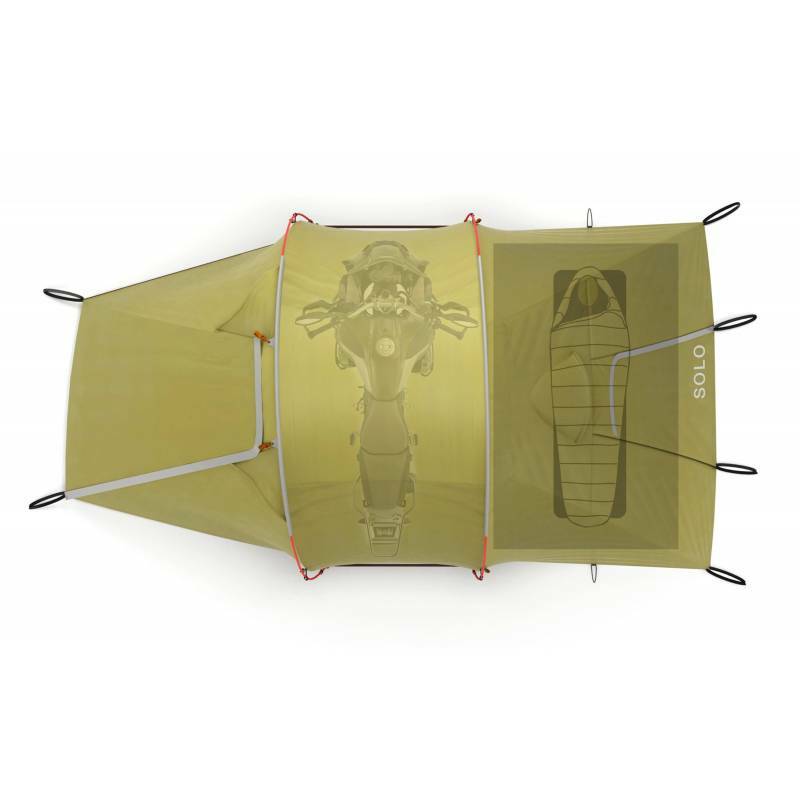 Flow-through venting circulates air from one end of the tent to the other and a mesh panel in the large vestibule door means you can close down the garage to insects but keep the airflow. WHAT’S INCLUDED? The Solo tent arrives in a compression stuff sack containing everything you need for your first set up. 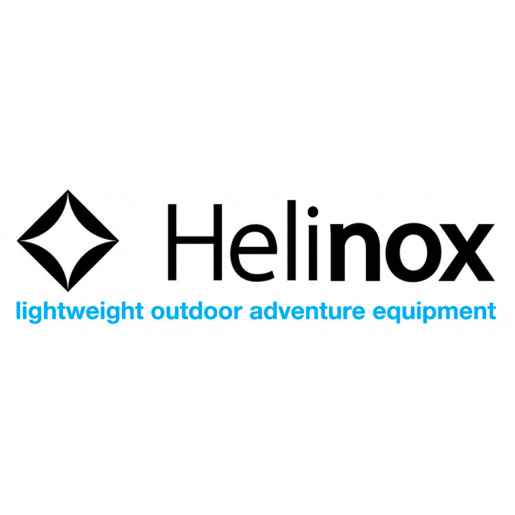 Tent purchase includes tent, consisting of the inner tent and outer flysheet, poles, pole bag, stakes, stake bag, guy lines and stow bags. 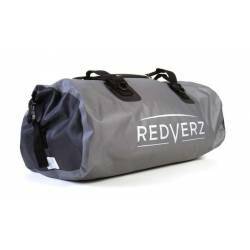 OPTIONAL ACCESSORIES Waterproof Redverz Gear dry bags and ground cloths are sold separately. The 50 Liter Dry Bag is a perfect fit for the Solo Tent and leaves a fair bit of room for extra gear. 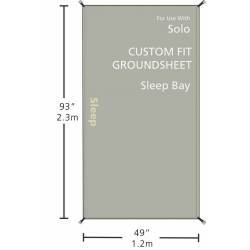 Two different, custom-fitted ground sheets are available for the sleeping area and the garage. 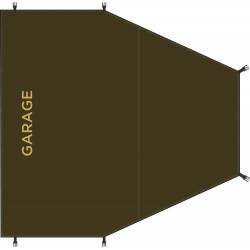 Sleeping area ground covers protect your investment and extend the life of the floor, while a precision-fit garage ground cloth keeps condensation down and high traffic areas tidy. We tested last summer the Solo for a large bikers' Club. 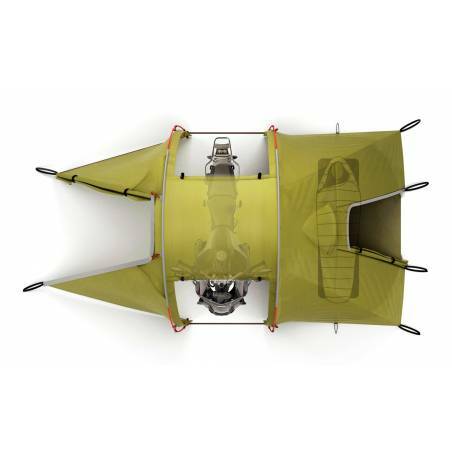 During 37 pitches, tent performed perfectly even during the summer mountain storms in the Alps. We even tested it without the inner tent and found that two adults can sleep well apart even with military style folding beds under which store all gear and still have an enormous space to move and stand up right. We returned our unit because of a really small issue with the fly and it has been immediately replaced, conferming a reliable after sale customer service. 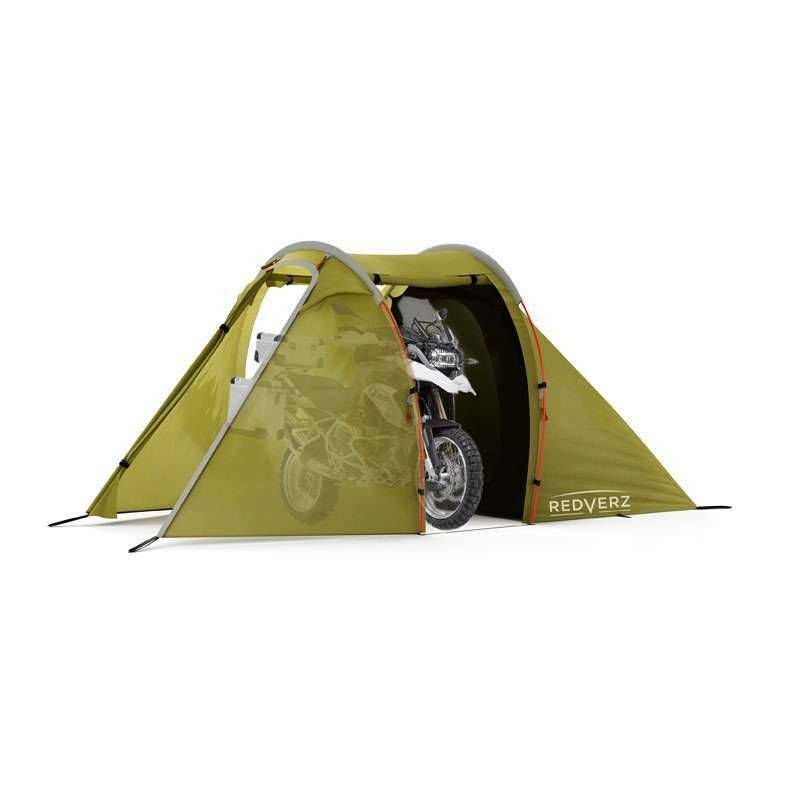 A really top tent, not cheap but not insanely expensive, light enough to carry on a motorcycle and large enough to camp luxuriously and at last not miserably cramped as most of us have been used to.